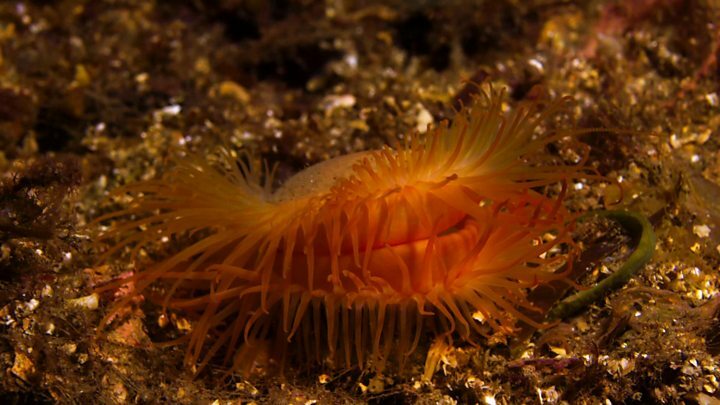 A sensitive flame shell reef which was "devastated" by scallop dredging on Scotland's north west coast is to receive permanent protection. Ministers had issued a temporary order banning mobile fishing on Loch Carron after the incident in 2017. Divers who visited the reef, which is a nursery ground for scallops, found the area had been "intensively" dredged. Conservationists said the announcement was good news but that many more fragile habitats remain unprotected. The Marine Protected Area (MPA) for Loch Carron will come into force on 19 May, meaning fishermen operating trawlers or dredging boats will not be able to fish. It will mirror the area covered by existing emergency closure, with the exception of Plockton harbour, where there is no evidence of a reef. Environmental group Open Seas has been calling for dredging to be banned around Scotland's coast because of the damaging impact it can have on the sea bed. But fishing organisations say the move is unnecessary and that existing protections are enough. Nick Underdown, from Open Seas, said: "This permanent protection is fantastic news and is an investment in the future health of our fisheries. "But piecemeal protection is not enough and until the Scottish government brings forward its promised measures to protect the full extent of our coastal waters from these fishing methods we will not see the regeneration that our rural communities so desperately need." Scottish Natural Heritage said it was delighted that the MPA status had been confirmed. Katie Gillham, head of marine ecosystems at SNH, said: "The west coast of Scotland is of international importance for these precious seabed habitats and this decision ensures that they will continue to be protected and allowed to recover." Loch Carron is home to the world's largest-known flame shell bed with an estimate 250 million brightly-coloured molluscs. The scallop dredger which caused the damage was not operating illegally since the area had no protected designation. But it left the sea bed littered with broken shells and led to calls for dredging to be banned completely. Fishing organisations have argued that protections should be in place for "examples" of sea features like flame shell reefs, rather than all of them. Elena Balestri, science policy officer for the Scottish Fishermen's Federation, said: "The question isn't whether there should be more protection, the answer is that there should an appropriate level of protection. "We are not against the protection of the features if needed, but where there is a scientific basis for it." The Scottish government said the MPA network currently covers 22% of Scotland's seas and work was ongoing in order "to complete the network". And trialling innovative approaches to MPA management planning and working with local communities and other stakeholders to develop these. He added: "A series of public consultations will take place over the next year or so, to deliver these actions."